This is a new free listing for choral vacancies and associated opportunities. These will be removed as they pass their closing date. 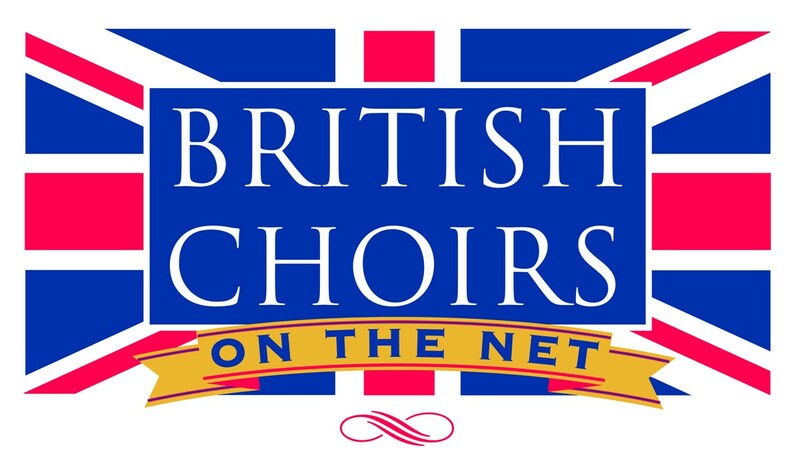 Please mention 'British Choirs on the Net' when applying. Please also remember to email me when you have filled these posts so that you do not continue to receive applications after the event. The Melody Choir of Barton Seagrave, Kettering, are searching for a new Musical Director.. This community run mixed voice choir is around four years young, priding ourselves in a superb social vs choir-life balance. Currently at around 35 members, we are an SATB choir of all abilities, showing steady and positive growth. Singing an array of music from show songs to A Capella pieces, the choir adapt to the requests with 110% enthusiasm. The Melody Choir are known within the community as regular performers, giving back to the community and opening arms to potential ‘family members’. The choir love to compete in competitions all over the Northamptonshire area including local Eisteddfods, whilst singing at organised concerts to raise money for selected charities. Magic Voices are looking for an excellent Musical Director in Lancaster and Morecambe as we are opening new contemporary choirs in these areas. Our repertoire is largely Musical Theatre/ contemporary, original musical arrangements by a West End Musical Director. This will be a large choir and we are looking for someone with a warm, friendly, engaging personality. Keyboard skills are essential. If you wish to apply for this position or have any immediate questions, Please send a C.V to info@magicvoices.co.uk. Sheen Gate Choir, South West London seek Director of Music. Sheen Gate Choir has been established for nearly 10 years. It is non-auditioned SATB amateur choir which meets weekly on an academic year term basis working towards one major concert featuring a major choral work each year and other projects during the year. Current active membership is around 40 singers. We rehearse weekly on Tuesday nights, 8-9.30pm in either a local school or in Christchurch, East Sheen. We try to perform a major work every year, as well as other smaller concerts throughout the year and involvement in local charity events. We have an ambitious approach to repertoire and a commitment to develop our members in musical skill and sensitivity. When funds allow, our Summer concert involves accompaniment with a small chamber ensemble or orchestra and a mix of professional soloists and voices from within the choir. Otherwise, our concerts are accompanied from the piano. Choir finance, administration and communication is carried out by a small committee. The musical director is supported in rehearsal by a professional pianist accompanist. The current musical director is leaving due to other long-term commitments. ● Ability to fix instrumentalists for small-scale chamber and orchestral concerts at least once every 2-3 years. Manchester Community Choir - could you be our new musical director? Would you like to lead an enthusiastic, motivated and friendly 100 strong SATB a cappella choir, building on the firm foundations of founder directors, Faith Watson and Jules Gibb, Carol Donaldson and, for the last eleven years, Liz Powers? We are looking to recruit a new Musical Director who will prepare materials, conduct rehearsals and lead the choir at a number of public performances each year, including some performances away from Manchester. We are a performance choir, appearing regularly at events in Manchester and further afield such as the annual Street Choirs Festival, which we are hosting in Manchester this year! We aim to combine singing for pleasure with performing to the very best of our ability. We sing songs in English and sometimes in other languages. Songs from all over the world with themes of equality, peace and respect – with some pop classics added in for fun. We learn by ear so members do not read from printed music, are not auditioned and do not sing solos. Terms: Freelance, self employed, hourly fee to be negotiated according to qualifications and experience. The Musical Director's position is paid on the basis of rehearsals conducted and performances, plus a fee for attending Trustee Meetings. Please email your CV with a covering letter explaining how you meet the requirements we have listed above, including your expression of interest in this opportunity, with names and addresses of two referees to: recruitment@manchestercommunitychoir.org.uk - Interviews will be held in May 2019. The Hill Singers Chamber Choir is looking for an energetic Musical Director, from September 2019, to help it develop, in an area of S.W. London, which has a number of choirs competing for singers and audience. It is hoped that the successful candidate will envisage at least three seasons, with the choir. Based in the London Borough of Merton, the choir operates, largely, in ‘term time’, from mid-September to late June. Rehearsals are held on Tuesday evenings, between 7.30pm and 9.30pm at ‘The Lantern’, SW20. The aim is to have 9 or 10 rehearsals for each of our three concerts. Currently, choir numbers are around 25 voices, ranging from people relatively new to choral singing to some very experienced choral singers. The choir is keen to add to its numbers, particularly its 2 tenors and 5 basses. Concert dates for the 2019/20 season: all on Saturdays, 7th Dec 2019; 21st March 2020 and 20th June 2020. Applications for the post, including a C.V., should be made to Peter Clayton, Chairman, email, peter0349@aol.com Shortlisted applicants will be invited to audition at a choir rehearsal in early May or early June. St Peter’s Hale Cheshire PCC is seeking a Director of Music. Our current Director is leaving after 3 years to develop her freelance conducting career. St Peter’s is an Anglican Parish Church with a strong choral tradition. Our volunteer adult choir of 16(SATB) sing at our main Sunday morning service each week, two evening services a month and at major festivals. Choir practice currently Thursday evenings. Members of our congregation are keen to support our choir and are appreciative of the choir’s commitment. The Director of Music is responsible for overseeing and developing the ministry of our choir working alongside our organist to offer high quality accessible church music for our Worship. This requires 6/8 hours per week including Sundays and choir practice currently Thursday evenings. Salary £6,000 pa. For further information on either position please contact Norma Entwisle -0161 980 3043 entwisle@uwclub.net To apply please submit CV to above e mail address. Closing date 15th May - interviews shortly afterwards. Whitstable Choral Society seek Music Director. Applications are invited for suitably qualified persons to apply for the post of Musical Director for the Whitstable Choral society. The society has been running since 1932 and performs in a variety of locations in the Whitstable, Canterbury and Herne Bay area including Canterbury Cathedral and University. The choir is 120 SATB strong and performs major works 3 times per year, including future and recent works such as Elgar Dream of Gerontius, Carl Orff’s “Carmina Burana”, Dvorak’s “Stabat Mater”, and Requiems by Brahms and Mozart in addition we hold our annual Christmas Carols concert in St. Alphege Church, Whitstable. We have a very talented piano accompanist and a chorus master who together work with the Musical Director to ensure our performances strive toward excellence. The society aims to bring a high standard of choral works to people in East Kent. Based in Whitstable Kent, rehearsals take place between 7.30 pm – 9.30 pm on Tuesday nights during term times. The Musical Director’s position is paid on the basis of rehearsals conducted and concert performances. We are a registered charity. Have experience of conducting large choral groups and ideally also some experience of conducting both choir and small/medium orchestras. Create a positive rehearsal environment for all. Be willing to work alongside our accompanist and Chorus master to deliver excellent performances. Work with the committee to plan a varied programme at least 12-24 months in advance. Attend Society Trustee meetings three times per annum to ensure the smooth running of the choir. Audition choir members as required. Develop the choir member’s vocal abilities - to enhance the society’s current repertoire. Suitable candidates will be invited to meet with a small number of the trustees. A short list will be invited to take a rehearsal of the choir. Start date of the appointment will be 7th January 2020. The parish of Boughton under Blean with Dunkirk, near Faversham in Kent, is seeking a Choir Director for our small church choir.The choir sings every Sunday at either 10am or 10.30am at one of the village churches within our benefice, as well as at other occasional special services throughout the year. You would be required to attend rehearsals for these services in Boughton on a Wednesday evening. We have a very experienced and talented organist who accompanies both the rehearsals and services. West Hill PCC are seeking a Choir Director and an organist. On the west side of the Otter Valley, West Hill is a woodland village of some 2,000 residents. St Michael’s Church is an early Victorian building [centrally heated] seating 120 with an integrated church hall with a full kitchen and a disabled lavatory. The church has recently been equipped with a full AV and sound system. West Hill is in the Exeter Diocese and part of the Otter Vale Mission Community. The regular congregation is around 50 increasing to over 200 for the main Christian festivals. The organ is an Allen, 2 manual, digital organ with 42 stops. It is maintained in excellent order. The organist generally plays four Sundays a month but a relief arrangement is possible. Weddings and funerals will be by separate arrangement. A rota of organists is possible if there is an interest from two or three people in committing to less than four Sundays a month. We are looking for an experienced MD who motivates and inspires the choir. We need you to have energy and be full of enthusiasm, self confidence and have fantastic communication skills. You will be fully supported by the choirs committee who do all the day to day running of the choir leaving you to concentrate on the musical aspects of the choir. We sing at many local events and attend festivals further afield. We have a concert in the Spring, regularly attend the Street choirs festival and have a busy run up to Christmas. The position is to start on the 5th of September 2019. End date for applications is the 21st of March 2019 The selection process will take place in April . Please send your CV and a letter telling us why you’d be a good MD for us to Julie Bradbury-Sharp at jbradburysharp@gmail.com (07926027676) If you’d like our full job description either message or phone me. Dynamic Edinburgh Choir- Audacity- Seek Choir Director Audacity is a high quality non-profit performance choir, based in Edinburgh, who specialise in close harmony a capella using beautiful arrangements. Established in 2017, our goal is to perform a wide and dynamic repertoire, developing our skills as singers and giving back to the community. Audacity seeks an experienced and energetic choir director to lead the choir in 2019. The choir rehearses on Wednesdays at Bruntsfield Evangelical Church from 7-9pm. The working hours are two hours of rehearsal each week and the time needed to be ready for rehearsals and performances. The successful Choir Director will work with the Audacity committee to ensure the functioning of the choir and ability to perform at a range of events, under their direction, throughout the year. Developing and inspiring the choir with a mix of songs from warmups and simple arrangements to more complex pieces. Supporting the choir's development in e.g. their tuning, listening, blending, breathing, care of the voice. There is no set date for applications but we are looking to appoint a new Choir Director to start in April, so if this sounds like to role for you, please email the Audacity Committee as soon as possible. All applications received will be acknowledged. Short-listed applicants will be invited to a short interview with the Audacity Committee on a Wednesday prior to rehearsal. Following interview, you will be asked to conduct the choir in rehearsal with items from the current repertoire as well as your own song choices/arrangements. ACHORD, a small, enthusiastic, mixed voice choir which rehearses in Finchley on Thursday evenings URGENTLY requires a musical director to start immediately. The successful applicant must have patience and a sense of humour as the choir is mostly non music reading . He or she must be able to teach and accompany as well as conduct and be prepared to re-arrange parts and post note bashes online. The repertoire consists of show tunes and some contemporary songs. Côr Bro Ogwr, a registered charity, based in Bridgend, South Wales is seeking to appoint a highly committed, enthusiastic and suitably qualified Musical Director to maintain and further its development. Its present Musical Director is relocating. We are looking for someone with suitable conducting experience, strong communication skills, an ability to motivate and inspire and a good sense of humour! A genuine interest in Welsh music and the Welsh choral tradition would be an advantage along with experience working with orchestras/instrumentalists. We are a non-auditioning, mixed choir of 85 voices currently celebrating its 20th anniversary. The choir rehearses on Wednesday evenings and performs three concerts a year as well as touring every two to three years. Recent tours have included Russia, America and Germany. It is currently rehearsing Howard Goodall’s Eternal Light and Fauré Requiem. In July it will be singing Elgar’s Music Makers. Caerphilly Community Chorus is looking for its next inspiring conductor! Caerphilly Community Chorus is a non-auditioning community SA/Men choir for adult members (15 years and above). Established in 2009, the Chorus sings a broad repertoire of world music. We have ~ 50 members and meet on Friday evenings from 7.15pm – 9.00pm for weekly term-time rehearsals, in a warm and welcoming atmosphere. We currently present three concerts a year along with local community engagements. The successful candidate will have a very good musical background and be able to demonstrate skill and experience in leading a group of this size with wide ranging ages and abilities. Passion and enthusiasm are more important to us than extensive experience of choral conducting. This role is ably supported by an experienced accompanist. The challenge is to retain members’ interest whilst maintaining the standard of singing and developing the choir further. We have an elected Committee which supports the Musical Director and oversees the running of the choir and its organisation. Short-listed candidates will called for interview on Friday 31st May. They will also be invited to take part of our choir rehearsal on a Friday evening and meet chorus members, our current Musical Director and Accompanist.Please feel free to ask any questions you may have. Please apply to Chorus Secretary via email to linda.curry46@yahoo.com with a CV and covering letter outlining your suitability for the post. Cheltenham Choral Society (CCS) are seeking an accomplished and established Musical Director to direct and train the choir from September 2019. The role offers the opportunity to prepare the choir for an exciting repertoire of concerts and to work with the CCS Committee to develop the future direction of the Society. You will be a professional musician, with appropriate qualifications, and experience of conducting a mixed voice choir, and an orchestra. Strong interpersonal skills, flexibility and enthusiasm are required, as is the skill to motivate and develop amateur singers of mixed ability. Remuneration and fees are commensurate with experience and expertise, and guided by recommendations made by Making Music and the musicians’ unions. CCS is a non-audition choir of around 55 members performing public concerts to a high standard. The concert programme is drawn mainly from both the classical and modern choral repertoire. Rehearsals are accompanied by piano, whilst performances are often supported by chamber orchestra or organ. Cheltenham Choral Society (CCS) has recently celebrated its 80th Anniversary. We rehearse on Wednesdays from 7:30pm to 9:30pm at Bethesda Methodist Church Great Norwood Street Cheltenham GL50 2AP, for around 36 weeks each year, broadly in line with academic terms; we meet in half-term weeks. We typically perform three or four public concerts a year including a Christmas carol concert, in venues around Cheltenham, along with visits to a Cathedral for lunch time recitals, and other occasional events. Musical Director required for Colla Voce Chamber choir. A vacancy has arisen for an experienced and inspirational Music Director, starting in September 2019, to lead and develop the choir and its repertoire. The successful applicant will have energy, commitment and enthusiasm, have high standards and fast pace in rehearsals. The choir responds well to expressive direction and we are looking for a director with vocal training experience as well as an emphasis on musicality and interpretation. The ability to accompany the choir would be an advantage but is not essential. The choir has performed a number of large accompanied works and à capella performances. See the website for details of works performed to date, and listen to some extracts. The choir performs 2 main concerts a year. Rehearsals are held on Thursday evenings from 8.00pm to 9.30pm. Rehearsal and concert fees are subject to discussion. Colla Voce Chamber Choir (www.collavocechoir.co.uk) is one of the leading chamber choirs in the West Midlands, based in the Black Country. The choir currently has 22 singers (SATB) and performs classical choral music from 17th – 21st centuries. Choir members aspire to high choral standards and have good singing and reading skills. Interested candidates should contact Eleanor Rushbury with a CV and accompanying biog/letter at collavoceinfo@gmail.com by 31st March. If you'd like to discuss this role further please email or phone on 07815 071179. Framingham Earl Singers seek a dynamic and inspiring Musical Director to lead our Choir from September 2019 when our current Director leaves us for a new post. The Harborough Singers, a well- established SATB choir, with good local connections, based in Market Harborough are looking for a new Music Director (MD) starting March 2019 to build on the legacy of our 40 plus year history. We are an enthusiastic group of amateur singers with a range of singing and sight reading ability. We enjoy a wide range of music and typically perform 4-5 concerts annually including the occasional choral evensong. We have been privileged to sing in many of the premier choral venues over the years plus Cathedrals such as St Paul’s, Worcester, Coventry, Peterborough, and we have even sung in a salt mine. We are seeking to engage a professional Musical Director with the skills to take this established choir forward. Depending on the time a new MD can commit to the choir we would expect to pay an annual sum in the range of £2,500 - £4,000. Ledbury Choral Society is a small, friendly group of about 60 singers. The choir is open to everyone and is not auditioned. It includes a mixture of abilities. Rehearsals take place on Thursday evenings at the Baptist Church in The Homend, Ledbury, from 7.30pm to 9.30pm. The choir presents two or three major concerts a year in Ledbury and often has other events such as workshops or ‘come and sing’ days. The choir is active in the local community and takes part in community activities of various sorts – recently this has included a Civic Service (September 2018), Remembrance Sunday ceremonies, carol singing for the residents of Leadon Bank, and carols at Eastnor Castle (as part of the fundraising efforts for Eastnor Church). There is a full list, together with general information about the choir, on our website: https://ledburychoral.btck.co.uk/. The choral society has been fortunate to have as its Music Director Malcolm Macleod, an experienced choral singer and trainer and an accomplished organist, who has been with us since 2005. Malcolm is due to step down after the summer of 2019 and we are looking for a new Music Director from September 2019. The Music Director is an ex officio member of the choral society’s organising committee, which oversees concert planning, publicity, ticket sales and finances. The Musical Director attends all committee meetings and has a vote on the committee except in respect of payment of his/her fees. Shortlisted candidates will be invited to interview in April 2019 and will be asked to conduct part of a choir rehearsal in early May. If you would like any more information, please e mail Sharon Smith, Secretary, sharonl260@sky.com. We welcome applications up to and including March 31st 2019. Please apply with a CV and covering letter outlining your suitability for the role. Please send applications by e mail to Sharon Smith, Secretary, sharonl260@sky.com. Llangollen Male Voice Choir is in urgent need of a Conductor, also an Accompanist and also as many new singers as will join us, to help keep traditional Welsh male voice choir singing alive in Llangollen, in North Wales. Currently, our number of choristers has reduced to just 10 men and if we cannot find more singers (plus a regular Conductor and Accompanist) then the choir is in real danger of having to close down, after existing for 36 years. This would be a real shame, especially in the home of the world-famous International Musical Eisteddfod. We are a small, friendly and social choir and any men who wish to come and join us will be made most welcome. We do NOT have voice tests, and singers do NOT need to have previous singing experience, NOR be able to speak Welsh. Our practices are held in the Hand Hotel in Llangollen on Friday evenings at 7.30 pm. Maestro sought for Harmont Inpires, Oxford - Could you be our new Musical Director? We are Harmony Inspires (http://www.harmonyinspires.org), an enthusiastic, ambitious and friendly forty-strong women’s chorus who aim to build on the work achieved over seven years with our current MD who leaves us in October to pursue other ventures. Kaleidoscope wish to appoint a new Musical Director to plan and conduct rehearsals, develop the choir’s repertoire and choral skills, and arrange and conduct concert programmes. Kaleidoscope is a friendly and enthusiastic, female-voice community choir of 35 members which meets in the Lichfield area on Wednesday evenings. We sing a wide variety of music, and work hard to achieve a high standard. We perform several concerts a year, to raise funds for local causes and to support the choir. We are fortunate to have a skilled accompanist, who also arranges many of our pieces. Snowdown Colliery Welfare Male Voice Choir, Aylesham, Canterbury are seeking a new Musical Director from January 2020. Our current musical director, Mr. Michael Lewis, is retiring at the end of 2019 after 22 successful years with the choir. We seek a new MD from January 2020 with the opportunity to work alongside Michael from September. We seek an enthusiastic individual with a strong musical background who appreciates the unique and exciting genre of the 4 part male voice choir and is keen to bring out the best in us. Currently we are celebrating our 90th year and have great plans for our 10th decade. Founded in 1929 by the miners of the Snowdown Colliery, many of whom were from Wales, we are still members of the ‘Welsh Association of Choirs’ with whom we have sung in the Royal Albert Hall as recently as May 2018. We are a choir of around 50 choristers who hail from Ashford to Thanet, Folkestone to Canterbury. Members are encouraged to read music and practise to maintain a high level of performance. We rehearse at St. Finbarr’s R.C. Church Aylesham on Monday evenings and perform regularly in a range of venues, raising considerable funds for charity. Popular features are annual 2 day tours in the U.K. and exchanges with well-established choral friends abroad. Our repertoire is varied from Welsh hymns to musicals and we seek an MD who is keen to modernise and broaden it further. Full details of the choir and its history, role specification, person specification, selection and remuneration are to be found on our website: www.snowdown-choir.co.uk. All enquiries should be made to The Snowdown Secretary Dr. David Rance: scwmvc@gmail.com Tel. Nos. 01304 840569 or 07515 027912. Vacancy for Director of Music/Organist for St Thomas the Apostle Church, Hanwell, W7. Music is a central part of our worship, mission and life as a parish. St Thomas’ is strongly committed to choral and organ music within a liturgical setting centred on the Eucharist. We have an active four-part choir with around 15 members, plus additional members who sing at our ‘specials’. In 2016 our Walker organ was fully restored. Our current DoM has re-located, so we are now looking for a Director of Music & Organist. The DoM will direct, supervise and, importantly, develop the existing SATB and Junior choir. We are very fortunate in having very able and willing volunteer ‘Sub-Organists’, which we hope will allow the DoM greater opportunities. You will be responsible for organising and leading the rehearsal schedule and Sunday services as required using your demonstrable musical ability with choirs, and ensure Organist cover for all services requiring musical provision – self or others as appropriate. Importantly, we are seeking someone to develop and execute strategies to increase choir members and, new and existing links with external bodies. Oadby Community Choir are seeking a new musical leader. We are an inclusive non- auditioned SATB Choir who meet weekly on a Tuesday evening in Oadby, Leicestershire. We have been singing all types of music for three years and have 62 members. We perform concerts for charity. There is an enthusiastic committee who cover all the admin work. The position is paid. This will be a rewarding position for a MD who enjoys working with enthusiastic singers whose musical knowledge and choral experience cover a wide range. We rehearse for two hours on Thursday evenings at Holmbridge Parish Hall, when we like our sessions to be friendly, lively and productive. All our rehearsals and events are enhanced by the services of an outstanding accompanist. liaise with the committee on all matters to do with the running of the choir. Please contact us if you would like more information about the position. We will respond to all applications, and will invite shortlisted applicants to lead a short rehearsal as part of the selection process. Intonation choir is looking for a Musical Director who can start rehearsing with us from early in 2019. We are a small mixed choir that has been together for almost three years. Our repertoire of fourteen songs is drawn mainly from popular music of the last fifty years. Our practice night is Tuesday 8 to 10 pm in central Peterborough. Marsh Green Melody Makers is seeking a new Musical Director, start-date negotiable. This community choir of approximately 30 members is at the heart of the small Devon village of Marsh Green, 7 miles east of Exeter. While currently being led by a Sing for Pleasure conductor in training, and loving it, this is not a long term arrangement as she has rather too many other commitments! The methodology of 'call & response' teaching is working well, as is singing A Cappella and while many don't read music, most now prefer to have it, rather than just words, to support learning. The choir is also used to singing to backing tracks & with accompaniment. MGMM is a true community choir which brings together the small rural community & it's neighbouring villages. The enthusiasm is plain to see/hear and while learning may not be a speedy as some choirs, the rewards are just as satisfying. MGMM members are enthusiastic & keen to learn, and for the right person, will be a rewarding choir to lead. The choir typically gives 2 or 3 concerts a year, including for charity, and has sung in such diverse venues as Sainsbury's and Exeter Cathedral, which was, without doubt a phenomenal experience for all concerned, the programme included Zadok The Priest. Repertoire has included a variety of songs with backing tracks, spirituals, sea shanties, a selection of rounds & well known jazz & show-tunes. Rehearsals are held on Monday evenings in Marsh Green Village Hall. Contact Emma Palmer - empal1@icloud.com if interested. Chester Ladies Choir are looking for new Musical Director. Our current musical director is leaving, due to being offered a fantastic new career opportunity, so we have a vacancy starting in or before January 2019. We are looking for a creative and positive MD who is committed to maintaining the high standards that the choir always strives to achieve. We are a group of about 40 ladies of all ages who love to sing! We have been established as a choir since 1955 and are based in Chester, although we have members from across Cheshire, Wirral and North Wales. We meet on Tuesday evenings from 7:30 till 9:30 at St Luke’s Church in Huntington, Chester to sing wide range of music from classical pieces to modern pop and jazz for our own concerts and other community and charity events. We believe that singing is a fantastic way to meet new friends and have fun and it’s good for your health and well-being. The Wey Community Gospel Choir is a collective of community choirs based in Guildford and Farnham, Surrey. Starting in 2014 with half a dozen members, it is now a thriving group of 80+ singers across three choirs. Its message is simply that anyone can sing— even with no musical background or training. With an emphasis on fun and inclusivity above all else, it aims to help people feel more a part of their community through new friendships and occasional performances. WCGC now want to bring their energetic and uplifting choir to new locations in wider Surrey and outer London. The choir is looking for passionate and enthusiastic choir directors to lead the new groups. Primarily this will mean teaching 3-4 songs each term, from the extensive WCGC catalogue of gospel arrangements, working towards a Christmas or summer performance. They will be fully supported by WCGC with advertising, schedules and materials - so the only thing to organise is the end of term social! Applicants should all have experience in leading choirs. If they have lead choirs but not gospel choirs then would also need to have experience in singing gospel music. Most importantly they would be passionate about growing a fun community group, and about seeing people from all walks of life grow in conﬁdence. Ideally, they would also be able to accompany themselves on the piano. The locations and times of the new choirs are yet to be conﬁrmed, and would be ﬂexible to ﬁt the schedules of the right people. Pay is negotiable depending on experience. Mickleover Singers are looking for a new leader from January 2019 following the departure of our musical director due to other work, choir and personal commitments. The choir is long-standing (>75 years) non-audition, mixed ability group of ~25 voices. Practices are on Monday evenings from 7:30-9:30pm at St John’s Church, Devonshire Drive, Mickleover, Derby, DE3 9HD. The preferred repertoire is an eclectic mix of old and new, classical and popular, serious and light-hearted, and three concerts are usually held each year. Candidates are sought who are enthusiastic about choral singing, with experience of conducting amateur choirs, patience, good interpersonal skills and ability to motivate and inspire. Remuneration is based on a fee per rehearsal / concert. If you are interested in joining us, please contact the Chair Gerry Bryant at Gerry.bryanthome@btinternet.com, including your CV. Suitable candidates will have the opportunity to attend and take a rehearsal before Christmas. A new Performance Arts school in Birmingham City Centre, is searching for a choirmaster who can help to create and direct a brand new choir who will represent the school. The right candidate must be extremely versatile, and can direct all styles. From Celtic, Classical, Gospel, Rock and RnB, they must strive for the choir to reach the highest of standards, be highly original and create an extremely exciting environment. They must hold the relevant DBS certificates and be able to work on Saturdays starting at the end of September 2018. If you feel you are a practitioner who can meet these requirements, please can you email dianerock12@gmail.com or Tel: 07523 287 279. Nidderdale Community Choir are looking for a new Musical Director from September 2018. As well as good all round musical skills, the candidate should have good communication skills, enthusiasm and patience. We are a mixed ability choir with 25+ regular attendees meeting every Thursday evening in term time from 7-9pm in Pateley Bridge, North Yorkshire. Our repertoire includes an eclectic mix of popular music, folk, gospel and show tunes, usually in three parts. Musical Director required for Orpheus Singers The Orpheus Singers (www.orpheussingers.org.uk) is one of the leading chamber choirs on the Isle of Wight. The choir, which is auditioned, numbers between 35 and 40 singers and performs music from 17th – 21st centuries. Choir members are expected to aspire to high choral standards and should have good singing and reading skills. A vacancy has arisen for an experienced and inspirational Music Director, starting in September 2018, to lead and develop the choir and its repertoire. The successful applicant will have energy, commitment and enthusiasm. The choir responds well to expressive direction and we are looking for a director with vocal training experience as well as an emphasis on musicality and interpretation. The Choir tends to focus on smaller works and à capella performances, though we do perform larger pieces as well. We prefer to use professional soloists in our set piece concerts. Members of the choir are accustomed to singing solo parts in smaller pieces. The choir performs 3-4 concerts a year, generally in venues around the Island. Rehearsals are held in Newport on Tuesday evenings from 7.15pm to 9.15pm. If resident on the mainland, transport can be arranged to and from the ferry point. Travel expenses will be reimbursed. Fees are subject to discussion. Interested candidates should contact Norman Cave with a brief resumé or CV at chairman@orpheussingers.org.uk. or by phone on 01983 866 248. Please include full contact details. Laudamus Chamber Choir seeks new Musical Director We were formed in 1991 to deputise at services in Cathedrals, Priories, Abbeys and Great Churches when their own choits are on holiday. Over the years, the choir’s repertoire has expanded to include light and secular as well as sacred music, enabling the choir to perform for charity events and other occasions such as weddings and funerals. Under founding Musical Director, Andrew Johnson, Laudamus made tours to Holland, Italy, Hungary and France as well as regular visits to Cathedrals throughout the UK. ˗ Good communication skills with the choir to ensure effective and enjoyable rehearsals. The Mayday Singers are an established community chamber choir based in the Purbeck village of Langton Matravers, near Swanage, Dorset. Our current Director of music has retired and we are seeking his replacement to start in Autumn 2018. We currently have around 20 members (SATB) and rehearse on Tuesday evenings. We give 2 concerts a year and on May 1st we celebrate the Spring with a dawn chorus and a large breakfast. We work hard at a whole range of music but we are open to exploring new ideas and styles. Scotland’s a cappella LGBT+ choir (Edinburgh based) is looking for a new Musical Director. Loud and Proud Choir, Edinburgh (SC038303) is seeking a new enthusiastic and dedicated Musical Director (MD) from September 2018. Loud and Proud was established over a decade ago as an LGBT+ community, a cappella, non-auditioning choir with 50+ members. The choir welcomes everyone irrespective of their musical ability. We have a wide musical repertoire, incorporating traditional Scottish, folk, world, musicals and pop, and mostly sing in four-part SATB harmonies. Find us on YouTube and Twitter (@LoudProudChoir) and visit our website www.loudandproudchoir.org for more about us and what we do. Extensive knowledge of choral music from a variety of genres. If you are interested in this exciting opportunity please send your expressions of interest together with a CV by email to loudproud2018@hotmail.com by 16th July 2018. Interviews and auditions will be held end of July/August. Feel free to contact us with any questions about the position. Musical Director for Community Choir- Carlisle Community Choir is looking to appoint a Musical Director from 23rd September 2018. The person we are looking for will be skilled, enthusiastic and dedicated and will encourage and challenge the choir in a positive and enjoyable way. Carlisle Community Choir was formed in 2012 and is open to everyone regardless of singing experience or ability to read music. This SATB choir numbers over 80 members and sings a wide variety of musical styles. We rehearse every Sunday from 3.30pm to 5.30pm at Holy Trinity on Stanhope Road Carlisle, with a summer break mid June to September and shorter breaks over both Christmas and Easter. The choir gives annual concerts in December and June of each year and takes part in many other local events and performances by invitation. The choir strives to deliver performances of the highest standard we can achieve and has taken part with success in Choir of the Year, Manchester Amateur Choral Competition and the Carlisle Music Festival, where the choir won their class in 2018. 1 Experience of working with a large choir of varying musical experiences, the ability to explain things in different ways and motivate a large group of people. 2 Wide knowledge of choral repertoire in a variety of styles and the ability to select an appropriate range of music for the choir to sing. 3 The ability to challenge and develop the choir and our performances in an enjoyable and productive way. 4 A firm commitment to the choir, our rehearsals and our performances. 5 Experience of working with a committee and the commitment to work together with our proactive committee to achieve the best for the choir. 6 The ability to conduct rehearsals and plan an effective rehearsal schedule over the season to deliver performances of a high standard. 7 The ability to work carefully with the choir’s professional accompanist and have connections with other professional musicians and singing teachers who might work with the choir. The role will attract an hourly rate of £40 and reasonable travel expenses will also be paid in addition to this fee. The successful candidate will have a probationary period of one year with the hope to extend this further. Applications should be sent to carlislecommunitychoir@hotmail.com by the closing date of 31st July 2018 at 5pm. The application email should include a current CV and a covering letter that outlines your vision for the choir and also how you meet the seven criteria outlined above. Any further information can be obtained by emailing the choir website. Interviews will be held during the morning of 16th September 2018 at: Holy Trinity Church, Stanhope Road, Carlisle, Cumbria, CA2 7BB. Successful applicants will be called back for audition with the choir on the same afternoon. The post will commence on 23rd September 2018. Musical Director required for The Orwell Singers, near Cambridge. We are a mixed choir with no audition - current numbers are 10 sopranos, 10 altos, 6 tenors and 4 basses. We have been in existence for almost 30 years and our members come from a fairly wide catchment area between Cambridge and Royston. Our aim is to provide an enjoyable opportunity for people to sing a wide repertoire of music, both sacred and secular, for enjoyment and performance – we usually put on two concerts a year. Our current conductor, Jacquie McBride, has been with us for nearly five years and during this time we have grown in numbers and confidence and our standard of singing has improved considerably. In addition to concerts in Orwell Village Hall the Singers have also recently performed in Trinity College Chapel and Emmanuel United Reform Church in Cambridge. We are looking for a person to continue the traditions of the choir – someone who enjoys all kinds of music, who is good at encouraging people and has a sense of humour. We can offer a fee/expenses and we need someone from September 2018. We have an excellent accompanist who plays for the concerts but not for rehearsals, so keyboard skills are essential. Magic Voices Choir are looking for a great MD/ Choir Leader from or near to St. Albans to lead our brand new, musical theatre, contemporary choir. All our arrangements are original and exceptional quality and written for us exclusively by a West End Musical Director. Recommendations as well as applicants are gratefully received. Magic Voices Choir are looking for a great MD/ Choir Leader from or near to York/ Harrogate to lead our brand new, musical theatre, contemporary choir. All our arrangements are original and exceptional quality and written for us exclusively by a West End Musical Director. Recommendations as well as applicants are gratefully received. Woven Chords is a mixed-voice community choir of 23 years standing and, due to our present director moving from the area, is looking for a new musical director, preferably to start in September 2018. Currently the choir has over 30 attending members and follows the “Natural Voice Practioners” ethos - no auditions, no music scores, “if you can speak you can sing:” with the emphasis on having fun through singing. Woven Chords sings in the a cappella (unaccompanied) style, in harmony, and has a repertoire of over 200 world music songs in various languages. The choir has built up quite a substantial local following over the years for its energetic and enthusiastic concerts. It has also performed further afield when opportunities have presented themselves. Choir members range in age from 20s to 70s and form an incredibly friendly, supportive group who love singing together. Director of Music required by St. John the Evangelist Catholic Church, Springfield Road Horsham, West Sussex. The Roman Catholic parish of St. John the Evangelist, Horsham wishes to appoint a Director of Music. The parish currently has no paid organists or formal choir: as such, the appointee will benefit from the opportunity to develop, initially, an entirely new junior choir and in due course, one or more adult choirs, recruited both from the parish (which is a thriving community with a large number of enthusiastic youth and two primary schools both with existing choirs) and the wider community. Horsham has a thriving musical scene, with a symphony orchestra and several secular choirs. The primary purpose of the new choirs will be to sing Chant and motets at the 9:15 Mass on Sundays, as well as on major feast days including Christmas and the Easter Triduum and special events, First Holy Communions, weddings, funerals etc. The job represents an exciting opportunity to establish and develop a choral tradition which it is hoped will last for generations to come. The appointee will be expected to oversee attainment of RSCM affiliation for the junior choir, and to implement its “Voice for Life” training scheme for future choristers. The appointee will benefit from the full support of the Parish Priest, with whom they will work closely, and that of the whole congregation. The parish is also keen in due course to recruit a paid organist/organ scholar to work alongside the Director of Music. The salary, broadly in line with current RSCM rates, will be determined on the basis of qualifications, experience, level of availability and by negotiation with the successful applicant, and will be payable either by hourly rate or annual salary. The church is willing to demonstrate flexibility in renegotiating the remuneration should the workload increase over time. The successful applicant must have experience as a choral director and be sympathetic to traditional-style Roman Catholic liturgy, with a working knowledge of Gregorian plainchant and Renaissance polyphony. A competent organist would also be preferred. Applicants will be energetic, dynamic, innovative and able to establish a rapport with young singers: a full DBS check and references will therefore be required. The parish is open to considering younger candidates with a choral/organ scholar background keen to gain experience of building and directing a choir. Please apply by email to stjohnshorshamchoir@gmail.com or by letter marked “Director of Music Application” to The Parish Priest, The Presbytery, 3 Springfield Road, Horsham, RH12 2PJ, with curriculum vitae. The award winning Kinder Choirs (formerly the Kinder Children’s Choirs of the High Peak) are seeking a new Children’s Musical Director from September/October 2018. The organisation has been one of the major success stories in the cultural life of Derbyshire since their formation in 1991 by their founder Joyce Ellis MBE. During this time the choirs have gained a national and international profile with successes in major competitions and festivals, including twice winners of the highly prestigious Llangollen International Eisteddfod, major concert engagements, and appearances on TV and radio, and in European tours. They perform regularly in a wide variety of venues including cathedrals and national concert halls, as well as all over Derbyshire. We are a registered charity and have a Board of Trustees. We hope to have someone in situ for the beginning of September or shortly thereafter. The successful candidate will be a dynamic professional musician with experience and understanding of young developing voices, vocal health and classical technique; someone with energy and enthusiasm, able to invigorate the organisation and inspire a high standard of performance. The post involves liaising with the Founder Director, who is responsible for the overall running of the choir, and an ability to work collaboratively. An Enhanced DBS clearance, together with personal and professional references, will be required. Children’s Musical Director Job Description. The choir’s annual timetable runs from September to the end of August. The Children’s Musical Director will be expected to liaise with the Founder Director, the Trust of the organisation and the Administrator. For children there is no audition necessary to join the choirs and no-one is precluded for reasons of cost, with bursaries being available on a confidential basis where there is need. The choirs rehearse in Whaley Bridge weekly on Monday and Tuesday evenings for 4 hours each evening during the Derbyshire Schools’ term time. In November and May/June there are often Sunday afternoon rehearsals as the choirs prepare for their Christmas programme or their annual summer concert in Buxton Opera House. Over the year the choirs take part in a variety of concerts (both self-promotions and outside invitations), occasional professional performances, occasional competitions, tours and residential events. Choice of repertoire and concert programming is discussed with the Founder Director. The choice of repertoire will reflect the skills and development of the individual choirs; it must aim to provide challenge, variety and enjoyment, and also consider the enjoyment of the audience. There will be a requirement for the successful candidate to be active within the High Peak community seeking exciting initiatives for recruitment and the overall development of the choirs. There will be some related administration and communications needed as a part of the role. The fee is negotiable and will reflect the experience and calibre of the candidate. There may be an opportunity for the right candidate to develop their role within the organisation. Musical Director required. We are an enthusiatic established Ladies choir of some 7 years based on the Fylde Coast in Cleveleys, Lancashire, small in number but not in quality. We have 18 members currently but are looking to grow with the right person at the helm. Our founding MD is retiring at the end of May as he will celebrate his 89th birthday this year. We currently rehearse on a Thursday evening in Cleveleys 7.30pm-9.30pm and perform for worthy causes throughout the year. Our main genre is Musicals but we are an experienced group and are willing to try anything new. Magic Voices Choir are looking for a new Musical Director to lead our Harrogate/ York contemporary choir. We are looking for someone with a bright, warm, friendly personality and their own musical equipment (keyboard and amplifier). We rehearse weekly during one evening per week (Monday-Thursday can be negotiated). This is a well paid post and very rewarding! Please contact mike@magicvoices.co.uk for more information. St Mark’s Church, Parish of Swindon New Town, seek to appoint a new Director of Music and Organist at our Traditional Anglican Church. We seek someone to direct the choir for Sunday sung Mass, lead weekly or monthly choir practices and play up to 12 other services in the year. The Parish is a member of Forward in Faith, with episcopal oversight from the Bishop of Ebbsfleet. Salary will be in line with RSCM rates. Brent Singers offers an exciting opportunity for a musician with good professional and interpersonal skills to direct a well established mixed choir numbering around 70 singers, based in the lively community of South Brent near Totnes, from September 2018. The choir rehearses on Monday evenings from 7.30 - 9.30 and performs at least three classical concerts a year. Our Spring concert is traditionally in Buckfast Abbey, usually with an orchestra and professional soloists. Past works performed include "The Seven Last Words of Christ "(Haydn), " Messe de Minuit pour Noël" (Charpentier), "HMS Pinafore" (Gilbert and Sullivan) and "Dido and Aeneas" (Purcell). The choir will perform Mozart´s "Requiem" at Buckfast Abbey on April 22 this year as part of the celebrations of the Abbey's 1000th anniversary. The choir participates every other year in an exchange visit, including a shorter performance, with a choral group based in South Brent's twinned community in Brittany. Musical Director required for Songbirds in Harmony, a ladies choir based in Hednesford, Staffordshire, with effect from September 2018. More information about the choir can be found at www.songbirdsinharmony.co.uk. We are a modern choir, with piano accompanist and small band who perform mostly three part arrangements of pop music. The existing Musical Director, Annette Scott, is leaving at the end of 2018 to concentrate her efforts on her song-writing and teaching career.The new musical director will receive a nominal fee. Performances take place in Spring, Autumn and Christmas. For more information please contact Annette Scott on 07557 052711. James Lloyd Thomas MA FRCO FTCL GTCL LRAM recently moved back to the UK after being DoM at Harrow International School Hong Kong and then Organist/Choirmaster at Nelson Cathedral NZ, seeks conducing and choral directing work in the Midlands area. Huge amount of experience with choirs of every shape and size, and in depth knowledge of the repertoire for youth, chamber and larger choirs and choral societies; also an experienced orchestral conductor. Has performed on radio and TV in three continents. Relaxed but purposeful approach and a sense of humour often apparent! Robert Mingay-Smith began his musical career as an organist at the age of 14 and completed the ABRSM Organ Diploma for performance at the age of 19. In 1998 he became Director of Music at St Peter’s Church in Brandon, Suffolk after which he commenced his studies in organ, voice and bassoon at Trinity College of Music, London. Robert graduated with a BMUS (Hons) in 2005. During his career, Robert has held choral scholarships at both St Edmundsbury Cathedral and St Martin-in-the-fields, and posts as Assistant Director of Music at the Old Royal Naval College Chapel, Greenwich, and St. Michael’s Cornhill, London. From 2009 to 2013 Robert was a member of the British vocal ensemble VOCES8 with whom he toured world-wide. During his time with the ensemble they recorded six CDs including the Bach Motets and Aces High. Robert performs regularly as an organ soloist in the UK and at many of London’s churches and cathedrals. He has performed all over America and in concerts improvising alongside Naji Hakim. He is a founder member of the flute & organ duo INVERSION, alongside the award-winning flautist Ruth Stockdale with whom he tours internationally. Elaine Cox gained a Diploma in Choral Direction and is seeking more experience conducting and rehearsing any type of music. Versatile and happy to take rehearsals to performance, or to conduct the musical instructions of other directors. Preferred area of operation is Reading / West Berkshire / South Oxfordshire. Accompanist needed where required. Voluntary considered. Please contact: Elaine Cox Email: siccarpt@gmail.com Phone: 07766 780549. David Simmonds an experienced choral director and Member of the Association of British Choral Directors, living near Bath. I am also a choral singer, singing the RSCM Voices West and New Bristol Voices and a composer. I would like to direct an SATB choir to perform music from the past 500 years. I have a particular interest in British music of the Tudor period and of the 20th & 21st Centuries, with a special love of the music of Herbert Howells. My name is Alan Herbert I have recently moved into the Garstang area I would like to get involved as a Musical director of either a mixed or a male voice choir. I have a long and vast experience conducting most of the classics SATB and for the past 7 years was MD to Haydock MVC taking them and winning the Isle of Man music festival in 2009 and 2013. I conducted 2000 male voices at the MEN arena in 2000. Contact tel 07799 904185. Dr. Timothy Mount is professor emeritus at Stony Brook University, one of the leading music schools in the U.S., where he conducted and taught masters and doctoral choral conducting. He is also on the roster of the Fulbright Specialist program in choral music and choral conducting. The Specialist program places senior scholars in positions at overseas universities for residencies of 2-6 weeks. Fulbright pays the specialist a stipend and travel expenses. The host institution pays living expenses while in residence. The program is a wonderful opportunity for colleges and universities to sponsor a guest choral conductor/teacher at very little cost. Elizabeth Edwards Dip Mus Ed RSAMD, LRAM ( Pfte T) LTCL (PfteT) LGSM ( Singing T) LLCM ( Singing P) PGCE FISM. Would love to lead a small/medium sized choir in the Thirsk/Northallerton/Darlington area – ladies, male, SATB . From beginners to advanced in standard. Experienced teacher, conductor, accompanist, performer. See my website www.E-for-Entertainment.co.uk or phone 07502221887 for more information. Experienced professional choir trainer and RSCM examiner (RCO qualified) available for choir training/choral conducting work. Based in Woking area of Surrey. davidoldfield678@btinternet.com Tel 01932 874664. Trevor Jones seeks a conducting position in Gloucestershire or Bristol with a choir and/or orchestra. He trained at Dartington where he sang in a couple of staged works, sang as a choral concert soloist in Mozart, Monteverdi, Bach, Handel and Gabrielli and conducted student groups. He has worked with Devon Baroque on 'Messiah' and has conducted works by Buxtehude, Monteverdi, Bach, Mozart, Schubert and others. He is currently forming an opera company where he will direct performances of his own opera 'Maria Marten', Purcell's 'Dido and Aeneas' and is aiming to commission new operas. Trevor can be contacted on 01453 764749 or emailed at musical_notes12@yahoo.co.uk. Cleeve Chorale seeks an experienced accompanist for September 2019. Cleeve Chorale is a sociable and welcoming, non-auditioned choral society based in Bishop’s Cleeve, north of Cheltenham. Its membership (currently 55 singers) perform 3 major concerts each year alongside a programme of workshops and smaller events. Rehearsals take place on Tuesday evenings at Bishop’s Cleeve Primary Academy. Salisbury Community Choir (SCC) seeks a musician to provide professional standard accompaniment, under the direction of the Musical Director. SCC is a non-auditioned, friendly choir of around 160 members. It sings a wide range of music from choral classics to classic pop and newly commissioned music. Visit our website www.salisburycommunitychoir.org for more about us. Attend Thursday evening rehearsals and accompany the choir as requested by the director. There are around 40-42 rehearsals a year. To accompany the choir on piano, organ or other appropriate instruments in concerts (a minimum of 3 concerts a year) and on tour. Concerts may include opportunities for playing solo on organ or piano. Under the direction of the Director, assist in the musical training of SCC. Interviews will be held in July 2019. Auditions for chosen candidates will be during choir rehearsals in July. Ideally the accompanist will start work in September 2019. To apply, please send your CV (with 2 references) and a covering letter by email to: Susan Mawer, Chair, SCC chairman@salisburycommunitychoir.org who is also able to answer informal enquiries. St Peter’s Hale Cheshire PCC is seeking an Organist; our present organist is leaving to take up a Cambridge Organ scholarship. St Peter’s is an Anglican Parish Church with a strong choral tradition. Our volunteer adult choir of 16(SATB) sing at our main Sunday morning service each week, two evening services a month and at major festivals. Choir practice currently Thursday evenings. Members of our congregation are keen to support our choir and are appreciative of the choir’s commitment. Our Organist reports to the Director of Music. This requires 5/6 hours per week including Sundays and choir practice currently Thursday evenings. Our 2 manual pipe organ (electric action) was refurbished in 2005. Salary £5,000 pa. For further information on either position please contact Norma Entwisle -0161 980 3043 entwisle@uwclub.net To apply please submit CV to above e mail address. Closing date 15th May - interviews shortly afterwards. Accompanist wanted for Shaldon Singers (near Teignmouth, Devon) Shaldon Singers requires a piano accompanist for the season starting on Thursday 12 September 2019. Our concerts will be on Saturday 7 December 2019 and Saturday 16 May 2020. We rehearse from 7.15 to 9 pm on Thursday evenings in term-time, at St. Peter’s Church, Shaldon. If you would like to hear the choir, our next concert will be on Saturday 11 May and will include Gounod St Cecilia Mass. We will have orchestral accompaniment for this, as is usual for our May concerts. We are seeking someone who is used to accompanying choral societies and is a proficient sight-reader who is familiar with playing from open and closed scores. An ability to play the organ is desirable, but not essential. If you are interested in the position, please contact Ann Pardoe on 01626 873709 or shaldonsingers@gmail.com for full details. St Mary Magdalene Church, Richmond, seeks to appoint a Senior Organ Scholar for the academic year 2019-2020 (September till end of July), with the potential opportunity to continue for a second year by mutual agreement. The Organ Scholar receives an annual honorarium of £2,500 and generous extra fees for any weddings/funerals throughout the year. Music at St. Mary’s Music plays an integral role in worship at St. Mary’s. The church has a very able and enthusiastic robed SATB choir, supported by four paid Choral Scholars (SATB), which performs music covering a vast variety of musical styles from the Renaissance to the present day. This list is not intended to be exhaustive and the Organ Scholar may be asked to play at other services on occasion. The successful candidate should be of a decent standard in organ playing and show a willingness to learn. The prospective Organ Scholar should show good initiative and have excellent self-management and organisational skills. He/she should be a good team-player willing to work well with others. The deadline for applications is 12noon, Friday 22 March 2019. Auditions will take place on Saturday 6 April 2019. To apply, candidates are asked to submit a complete CV along with a letter of application by email (preferable) or post to the Director of Music, Alexander Knight. Informal enquiries and visits to the church are most welcome. - One by J. S. Bach. - The other written after 1800. • Play the final two verses of a hymn, provided on the day of audition; • Play a short sight reading test. A vacancy exists for a pianist/accompanist/teacher for The CHEPSTOW U3A CHOIR.The role which whilst challenging with a small "c" ,is musically a very fulfilling and satisfying one, as one would be working with many trained choristers, and alongside Ted Darling as Choir Director who, in his day, was one of The UK's leading tenors. If such a person was additionally, also interested in assisting dementia patients though song, then this would be "right up their street"as we perform in many local care homes and are very well regarded. The position is a voluntary one, although The Choir could pay travel expenses if required. For further info visit https://www.u3asites.org.uk/chepstow/page/3379 and send a message to the Convenor, Anne Davies, via the online form. Garden City Singers, Letchworth Herts - are seeking an Accompanist to support rehearsals and performances, working closely with the Musical Director as the Choir continues to build on its existing reputation as a good amateur choir. You will be a skilled pianist and have excellent sight-reading skills with a willingness to prepare in advance of rehearsal. You will accompany the Choir at weekly rehearsals, held on Wednesday nights between 7:45 and 10pm with a break for a cup of tea and chat at The Central Methodist Church Hall, Pixmore Way, Letchworth. In addition you will be requested to accompany us at major concerts, in 2019 this will be in June, September and December. Our members are a friendly and caring group and are looking forward to welcoming a new pianist. Initially the appointment will be from May 2019 but with a hand over period possible. Our existing accompanist wishes to step down by July 2019. The position attracts expenses on a sessional, self-employed basis with the suitably qualified, successful candidate receiving the sum agreed per calendar month. We do not meet in August and holidays can be accommodated subject to notification. If you would like to apply for the above post, please send your CV, including contact details for a musical reference, to The Secretary at members@gardencitysingers.co.uk. Peterborough Sings! seek a musician to provide professional standard piano accompaniment and to play a major role in the training of their two adult choirs, Peterborough Male Voice Choir and Peterborough Voices. The vacancy arises as the previous post holder, Alessandro Viale, recently left the UK at the conclusion of his Junior Fellowship at Trinity Laban. Rehearsals take place in Peterborough on Mondays (PMVC) and Tuesdays (PV) from 7.00pm – 9.45pm. Scheduled performances, competitions and tours are available on request. Peterborough Male Voice Choir and Peterborough Voices are ambitious auditioned ensembles. In recent years they have performed with the Royal Philharmonic Orchestra, the BBC Concert Orchestra, Brighouse and Rastrick, Black Dyke, Grimethorpe Brass Bands. They have an impressive record of competition success and have toured extensively, both in the UK and overseas. Further details of our organisation and activities can be found at www.peterboroughsings.org.uk. Attend year-round Monday and Tuesday evening rehearsals and accompany the choirs as requested by the director. Accompany the choirs in concerts, competitions and on tour. Contribute to the continuing development of members through regular sectional rehearsals. Lead sectional and full rehearsals, coaching choir members and preparing repertoire for performance. A skilled pianist; a sensitive accompanist with outstanding sight-reading and score-reading skills, willing to prepare each work(s) in advance, and a strong empathy toward choral rehearsal technique and confidence building for singers. An experienced and confident musical leader able to use a variety of strategies to train and develop singers. An excellent communicator able to confidently model vocally. Fluent in reading short score and open score. Able to work well as part of a team, being willing to collaborate with and support the director in developing the choirs. Have good social skills and a willingness to interact with choir members. The position is paid on a sessional, self-employed basis. Fees in 2017 amounted to c. £9k. Interviews will be held in January 2019. Auditions for chosen candidates will be during choir rehearsals at the end of January 2019. Ideally the accompanist will commence work on 11th February 2019. To apply, please send your CV (with 2 references) and a covering letter by email to: Jo Royle, Administrator, Peterborough Sings! jo.royle@peterboroughsings.org.uk, who is also able to answer informal enquiries. The closing date for applications is Friday 7th December. Potential candidates are warmly invited to discuss the role informally with the previous postholder, Alessandro Viale (viale.alessandro@gmail.com) and/or the director, William Prideaux (will.prideaux@peterboroughsings.org.uk/ 01733 425194). Piano Accompanist required for Morecambe Bay Singers, Lancashire asap. The Morecambe Bay Singers are seeking a friendly, fun and enthusiatic pianist who can sight read to accompany this 70 year old choir. Originally the Trimpell Choir formed in 1947, then famously performing as Morecambe and District Philharmonic Choir, they still meet every Wednesday evening at Morecambe Parish Church. Their versatile concert repertoire ranges from majestic masses and requiems to popular pop songs and show tunes. If an accompanist cannot be foumd then the choir is in danger of folding. The choir meets every Wednesday at Morecambe Parish Church, Church Street. 7.30pm until 9.45pm with a break for a cup of tea and a chat. They are a friendly, inclusive choir who welcome anybody with a love of music and singing, whatever level, with no auditions. Musical Director is Laura Pointer. Choir pianist wanted for Richmond (North Yorkshire) ladies' choir called Musicality (28 members). We cover many genre from showsongs and pop to spirituals, sacred and madrigals. Our accompanist, Gillian Ash, who also conducts from the piano is stepping down after 10 successful years. We cover many venues including stately homes and local theatres. Find us on facebook@musicalityladieschoir. Guilsfield Singers (Mid Wales) seek accompanist for rehearsals and concerts. Guilsfield Singers are a friendly, mixed choir of some 40 – 50 people who meets Thursday evenings at the Old School in Guilsfield, a large village between Welshpool and Oswestry. Our previous accompanist, Paul Wardell, is now the choir’s Musical Director, hence the vacancy. The choir usually gives 4 – 6 performances a year, in Welshpool, Guilsfield, and the surrounding area. Concerts in 2017 included Stainer’s Daughter of Jairus,– one of a handful of performances since 1912 – a supper concert in July at Guilsfield Community Centre, a concert at Montgomery in October, a slot at the Llanwddyn Folk Festival, and finishing off with a carol concert at Guilsfield. This year’s spring concert includes Rutter’s Magnificat. The choir’s repertoire includes music from the 16th to 21st centuries, sacred and secular, serious and lighthearted; folk songs and spirituals, cantatas and carols, requiems, and medleys from musicals. Please contact the Choir’s Chairman, Diana Gerrett, email b.gerrett@gmail.com for more information or to express an interest. Accompanist - Marlow Gospel Choir (Buckinghamshire). Marlow Gospel Choir is a new community choir led by Caroline Slade, based in Marlow, Buckinghamshire. We are seeking an accompanist for a June workshop, and for weekly rehearsals on Wednesday evenings from September. The right person would be skilled at improvisation and have some knowledge or interest in gospel music, and a love for making music with the local community. Fees will be discussed but are unlikely to include travel expenses. St. Mary Bromley wish to engage an organist to play for two, preferably three Sunday mornings a month at our 10.30 a.m. services. The fee paid is £50 per service. We have an able and enthusiastic choir that practice on a Thursday evening and sing at the morning services of Holy Communion and evening services. We are seeking an organist who will be familiar with church choral music. The Pewsey Belles Ladies Choir based in Pewsey, Wiltshire is seeking to appoint a piano accompanist from February 2018. Rehearsals are held on Tuesday evenings, 1930 – 2100 in The Wesley Hall, behind the Methodist Church, Goddard Road, Pewsey, Wiltshire. We do not meet during school holidays and are willing to be flexible with regard to holidays or any other commitments applicants may have. The pianist would accompany rehearsals, concerts and events. This is a friendly and welcoming unauditioned community choir whose main aim is to have fun. We sing various styles of music (pop, sacred, musicals). You can contact us via the website: pewseybelles.org.uk or via email to the choir secretary: jean.mcguigan@totalise.co.uk. Experienced sight singers, and those willing to improve sight singing skills, are invited to join The Severn Ensemble, an octet of sopranos, altos, tenors, baritone and bass. The ensemble is based at the Church of The Immaculate Conception in Stroud, and performs concerts and occasional liturgies. The ensemble will rehearse and perform English Tudor anthems and motets, European sacred choral music and some contemporary work for concerts and liturgical singing in Stroud, other parts of Gloucestershire and further afield. Please contact the founder Director at: 11tgjones@gmail.com with details of experience and your home location. The Choir of St Ambrose, Bristol is looking for fine-voiced tenors and basses. We are a small, high standard choir comprising choral scholars and experienced singers, some professional. Strong sight-reading required. We meet once monthly for an early morning rehearsal before the morning eucharist at St Ambrose church, Bristol (BS5), and are building repertoire for a tour of concerts. There is no payment, so everybody comes for the pleasure of singing together to an excellent standard. For more details and to trial with us, please email the director, Jonathan James, on hello@jonathanjamesmusic.com.